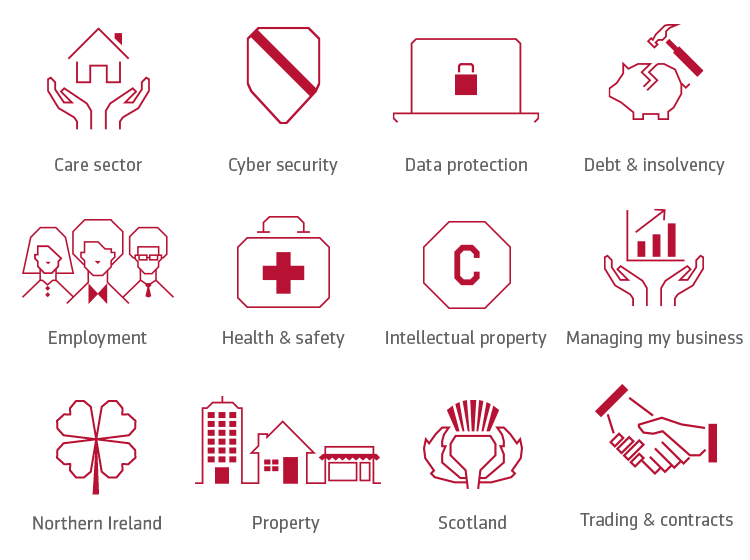 Businesses often need assistance with everyday legal issues around employment, health and safety, trading and contracts, cyber and data, debt and insolvency. The award winning Law Hub provides practical DIY templates and guidance around these topics, which saves your business time and money. The Law Hub is written and created by our team of expert solicitors who have a huge wealth of experience advising on daily business issues. Who can access the Law Hub? Thousands of businesses have access to the Law Hub as part of their insurance cover. To find if this applies to your business, please contact your broker. If you don’t have access included with your insurance, you can still access the Law Hub - the annual subscription is £189 plus VAT. If you or your membership organisation would like information about our subscription rates and packages, you can call us on 0345 351 0025 or email us at lawhub@markellaw.co.uk and we’ll be happy to organise a demo and talk you through our tailored membership options. Not yet subscribed to the Law Hub? Signing up is easy. Click on the link below and you'll be up and running in no time. Take a look at the Law Hub's fuss-free and intuitive navigation.